I’ve received lots of compliments about the “History Spot” articles, particularly since I had to miss a few weeks recently, so thank you. In writing the articles I depend heavily on the local history collections at Sutton Library. For example, in last week’s column about 252 Lichfield Road I immersed myself in - eighteenth century Corporation rentals; Enclosure Act documents; the 1856 Parochial Valuation; directories; rate books; electoral rolls; and some of the thousands of historic photographs at the library. There was other research as well, such as appraising the building itself, and I expect I could find out more by speaking to the owner, looking at old newspaper reports and building plans. For the previous article about the station the library’s extensive collection of railway plans was consulted, photographs were sought (without success), and a contemporary’s view extracted from Sarah Holbeche’s Diary. The Prince of Wales’s visit article was compiled almost entirely from a newspaper report, but it led to a fruitless search for evidence of the date of demoltion of Four Oaks Hall, variously quoted, by different authors, as 1895, 1898, 1905 and 1908. Even for the inquiry into the question whether Bishop Vesey really lived to the ripe old age of 102, when the inscriptions on Vesey’s tomb and on the Vesey Memorial were the main source, recourse was had to books in the library - Dugdale’s Antiquities of Warwickshire, the Dictionary of National Biography, and works by Riland Bedford. In short, the range and depth of the source material in the library’s possession is enormous, including copies of documents as early as 1200, Elizabethan court rolls, seventeenth century parish registers and probate records, property deeds and innumerable maps and postcards. The Library is now threatened with closure, and although the fate of the local history collections has yet to be decided, they will almost certainly be dispersed to places away from Sutton, or perhaps discarded entirely. When I no longer have access to this material, the “History Spot” columns will, regretfully, come to an end. Over the last forty years the Sutton Coldfield Local History Research Group has presented a great deal of material to the local collections, as well as helping to conserve items. 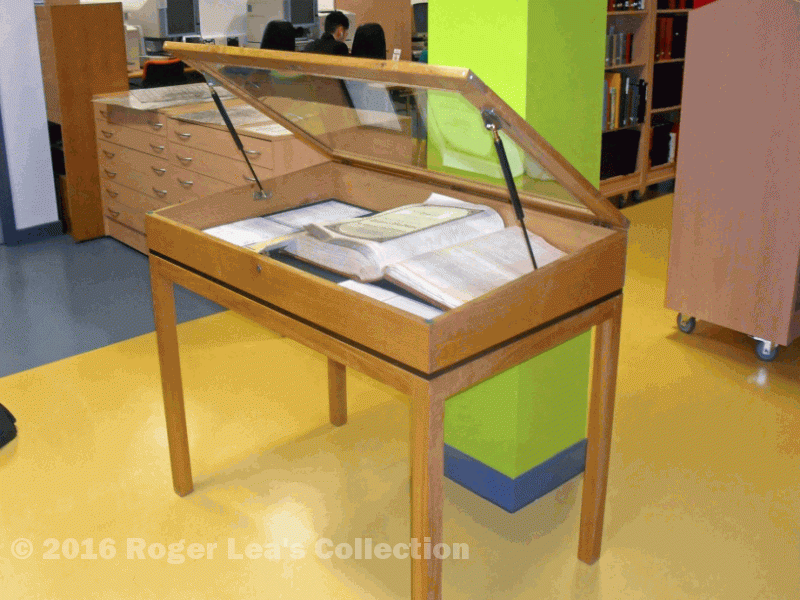 The Group paid for the rebinding of the Enclosure Award, pictured here in a display case also presented to the library by the Group (the local history library is in the background). What is to become of these things?